I think. No! No! I know, it’s pretty difficult to find someone who knows about WordPress but doesn’t know about Jetpack. Jetpack is one of the most powerful and feature-riched plugins for WordPress website that’s being used for millions of websites. And, when it comes to WordPress and Jetpack at the same time, then it becomes a little bit critical to decide about using Jetpack on WordPress website. Because there are some rumors about Jetpack, like – “it has a ton of features and it may slow down your website”. Is it true, really? So, Is it Really Slow Down WordPress Website? How to Use Jetpack on Your WordPress Website? Should I Go with Any of The Paid Subscription Package of Jetpack? WordPress is one of the most powerful Content Management Systems for building your website. At the same time, it’s so flexible to use, because it’s not packed with a million of features that you may never use. That’s why we have Plugins. So, we can add only the features we want to use. Jetpack is a common plugin but it’s always special. Because it’s more like a bundle of plugins than just a plugin itself. The moment you’ll active it after installation, you’ll notice that now you have access to tons of other features you can add to your WordPress website. But, the rumors are whispered at this moment that the more plugins you have on your site, the slower it will get. Whether website loading speed is a major fact for SEO. Actually, it’s not the quantity of the Plugins on your blog or website that matter all, it’s the quality. Jetpack wouldn’t slow down your website because the code behind it is pretty good and updated regularly. And, the interesting news is that its features aren’t activated auto. That means you can control the features and if a feature isn’t activated, then that code won’t be running in the background of your site. So, the weight of Jetpack plugin depends upon yourself. The people behind Jetpack spend a lot more time updating and working on it and its performance than many other plugins out there. So, from an overall performance perspective, I think you don’t have to worry about the speed of your site while you’re using Jetpack on your WordPress website. Now, let me prove this for a while. Anyhow, if you are in a unique situation where logically the feature you want to leverage from Jetpack will slow your site down. Actually, it’s not on Jetpack, it’s the same feature coded by some other plugin which will likely have the same performance impact. As an Example – let’s imagine that you have activated Jetpack and are using the custom CSS module for custom designing. Then, imagine that you drop in some 3,000 lines of extra CSS to your site to make it looks and works exactly like you want. Isn’t it the most performant approach to your site’s design? Remember, nothing about Jetpack will be slowing your site down. If you activate a different plugin instead Jetpack for custom CSS and drop in the same lines of CSS. Guess what will happen? It will perform equally slow. Do you get it? Does it make sense? The WordPress Jetpack plugin is designed to be the all in one utility of all utilities to ensure that a user of WordPress could install a single plugin, and then have access to tons of features that they might want to customize their website to make it perfect. And, while most of the features are free, there are also Premium and Pro editions that give you even more features. Here below, some of the cool features you may take a look. Image CDN – It allows you to offload your images to their servers so that your site loads faster. However, you can also do image compression and optimization instead of it. Site Statistics – Jetpack monitors traffic to your site and gives you statistics to help you see which posts are popular, which keywords are ranking, etc. Automatic Publishing – It will automatically publish your posts to Facebook, LinkedIn, Tumblr, Google+, and Twitter. Contact Forms – Jetpack makes it easy to add contact forms to your site. Social Sharing – Let’s you to use those social buttons on your posts so readers can share your content. XML Sitemaps – Jetpack allows you create a sitemap for your WordPress site and share it with Google to help you rank better & faster. Brute Force Attack Protection – Jetpack knows about cyber attacks and can use that data to protect your site in order to keep it secure. Site Monitoring – It will monitor your site every 5 minutes to see if it’s still active and available. Spell, Style, and Grammer Checking – It lets you automatically proofread after publishing the article for the first time or after an update. Sidebar Customizations – Jetpack allows you to customize your site’s sidebar and dynamically change what’s visible. Infinite Scrolling – Instead of having to click a link to get to the next set of posts, it pulls the next posts automatically into view when the reader approaches the bottom of the page. Publish by Email – By this feature it allows you to write your posts via email and send them it to get automatically published! Comment Enhancements – While WordPress has comments already, this will give your readers way to be notified of comments. However, it also important to add a spam protection for comments, if you don’t disable comments to your site. Custom CSS – It’ll give you a simple but effective way to add your own custom CSS to your site’s theme. So, while you’re going to use Jetpack for the first time, you need it installed on your WordPress site at first. In most of the cases, if you did the WordPress installation by yourself from the hosting cPanel, then you’ll find Jetpack on your WordPress Dashboard already for activation. But, if it’s not you can simply install Jetpack from ‘Add New’ under plugin section, doing a search for it. And, once you install the plugin, it’s time to activate it. You must have a WordPress.com account to activate Jetpack otherwise, you’ll not be able to use Jetpack’s features. So, activate it and a new window will appear like the image above. Now, click on the blue button that’s written in ‘Connect to WordPress.com’ and you’ll get the login form to submit your WordPress.com account details. And, after login, it asks for getting approved. Click on ‘Approve’ button, then it’ll open a new tab for the subscription basis on Jetpack Packages. You may choose any of them, but if you don’t want to pay anything right now, then simply click on ‘Start with Free’ and it’s done. Then, it opens Jetpack settings window, from where you can choose the features you want to use on your Website. It’s very easy to enable and disable any features of Jetpack, simply pull the button to the Left or Right to On or OFF the specific feature. 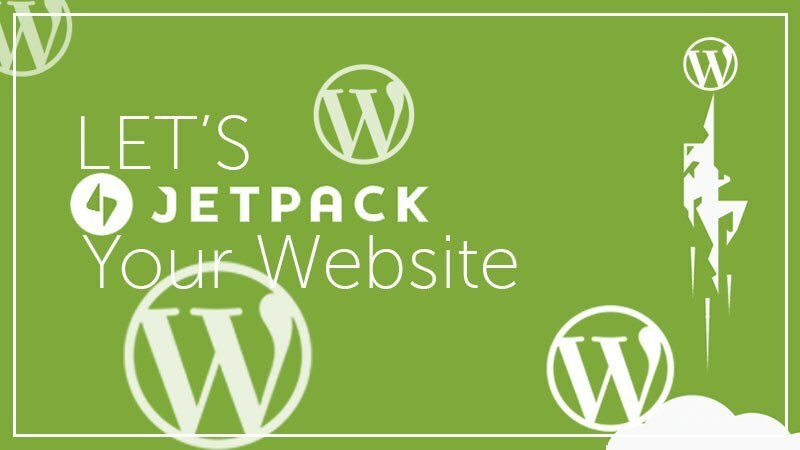 In most of the cases, people use only a few features of Jetpack on their WordPress Websites. Whatever it offers as free, it’s really a lot comparing with other WordPress Plugins. If you want to use more than five or seven features, it thinks you may go with its ‘Personal’ subscription package without any hesitation that costs only 39$ per year. There are more, these are some of the top alternatives. And, as you can see here some of the plugins are free and some of them are paid to use. So, what do you think, right now? I think it feels more complex to think not using Jetpack for your WordPress site. So, if you have a long-term plan to keep alive your WordPress website with having top-notch Security and Features easily. Then, Jetpack WordPress plugin is the only way to go with without any hassle choosing free or any paid subscription. The Jetpack developers are always working on it and updating its code database frequently to make it better every time to ensure the perfect performance. That’s why there is nothing to worry about to use Jetpack on your WordPress Website. In spite of being massive, Jetpack is an all in one powerful plugin for your WordPress Website. 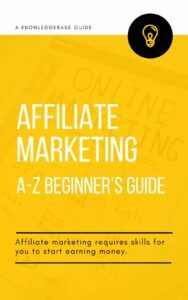 It’s the only easiest way to get the features that are indeed for your site, and there is nothing like it. So, you may run Jetpack on your WordPress website without any doubt. Whatever it is Free or Paid, simply choose by yourself as your demand. Let us know your experience if you’ve already used Jetpack plugin or your quick thought about this discussion. Here, we all are so interested to hear that.